The industry-leading Spectracom products you depend on are now brought to you by Orolia, Spectracom’s parent company. Orolia is the world leader in resilient positioning, navigation and timing (PNT) solutions that improve the reliability, performance and safety of critical, remote or high-risk operations. With locations in more than 100 countries, Orolia provides virtually failsafe GPS/GNSS and PNT solutions to support government and commercial applications worldwide. Products include secure master clock synchronization systems, network time servers, rugged inertial navigation products, GPS simulators, bus-level timing, configure-to-COTS, turnkey systems, and more. With applications for military networks and communications systems, the company improves precision, reliability, security, data accuracy and records management, and network optimization in addition to applications for testing and research, Orolia products verify, calibrate and measure the exact performance of devices and systems that use GPS and other signals. 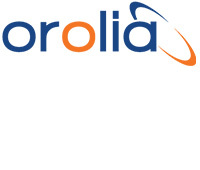 Orolia will work with clients to develop systems for specific requirements.